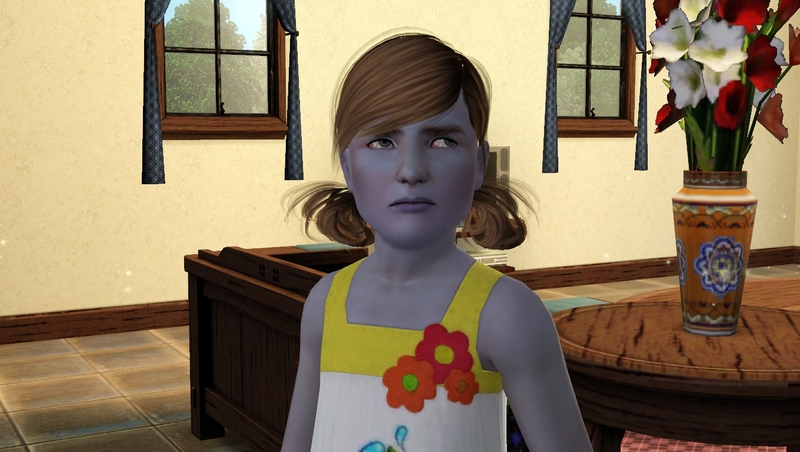 In my current save Jason (genie) and Josh have had their first child, a daughter. 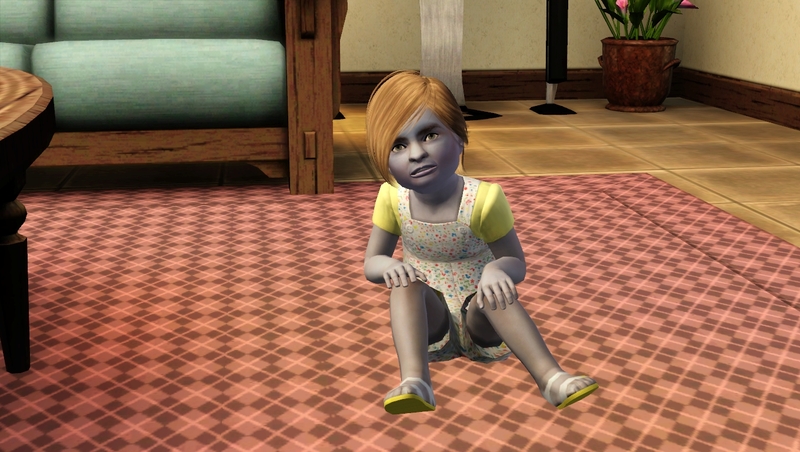 I thought Josie was a Josh clone initially but when I looked at her in CAS when she aged up to child I realized she had Jason's eyes. When you say "grandfather's lip shape", what do you mean? Is it possible that they inherited the mouth from the mother but, because male and female features look slightly different even with the same slider positions, that they actually inherited the mother's mouth? I could be wrong but I am fairly sure that facial features come only from the parents but colouring can come from the grandparents. After raising about 70 kids in the game and playing 21 generarions I can confirm this. Features always come directly from the parents. It isn’t always clear though, because features can look differently for males and females. So a son can inherit his mother’s mouth, but you may not be aware of that. Also the shape of a face can make a mouth look slightly different. @Mikezumi Thanks. 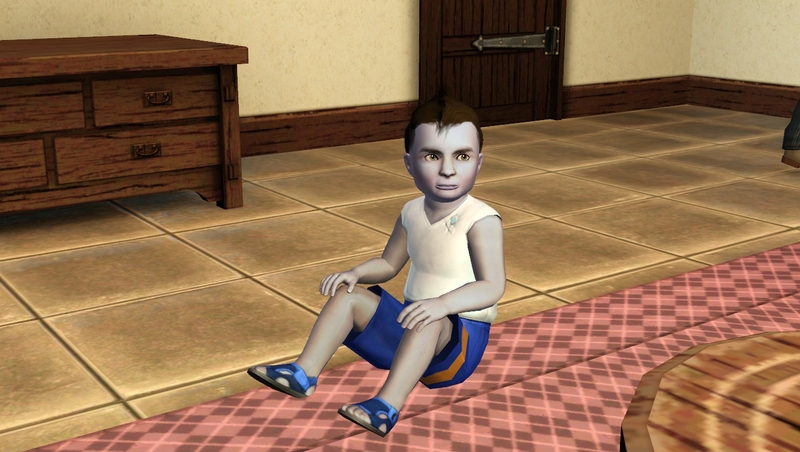 When I plan the game again I'll get pictures of the kids. 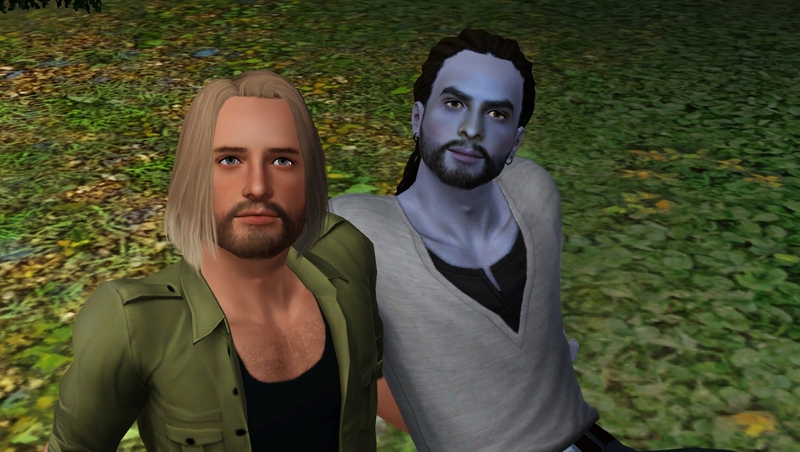 Your sims are both very attractive but then your sims always are. Josie was cute as a toddler. My boys had a son today, Jaxon. He's pretty scary looking but will grow up well He's a genie, like Jason. He is mostly Josh but has Jason's mouth so far as I can tell. @bebasim Your family looks great so far! I would never have thought to start a save with Erin Kennedy but I like what you did with her! You don't uninstall do you? 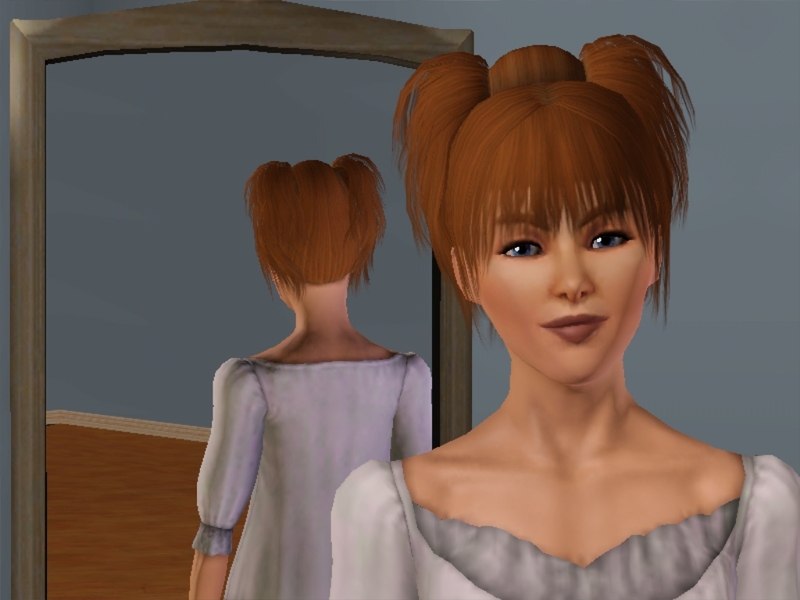 If you want to start again just remove your The Sims 3 folder and the game will generate another one. You can then put your CC back a little at a time, testing as you do, until you work out what's bad. @Mikezumi - Thank you i did try that and it seems to have hick uped again.. but will defiantly do it again, i need to get it running as i do miss 3, To be honest I wasn't a fan of 4 either but since I've started and got some help with how to do things I'm actually enjoying it. The sims have much more life than sims3 however i find i have less control of them.. it reminds me of an upgraded version of sims2 to be honest, with added features of course. @bebasim That's a great looking family! 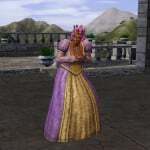 Good luck getting TS3 up and running again! @bebasim and @mikezumi I prefer Sims 3 myself as well. 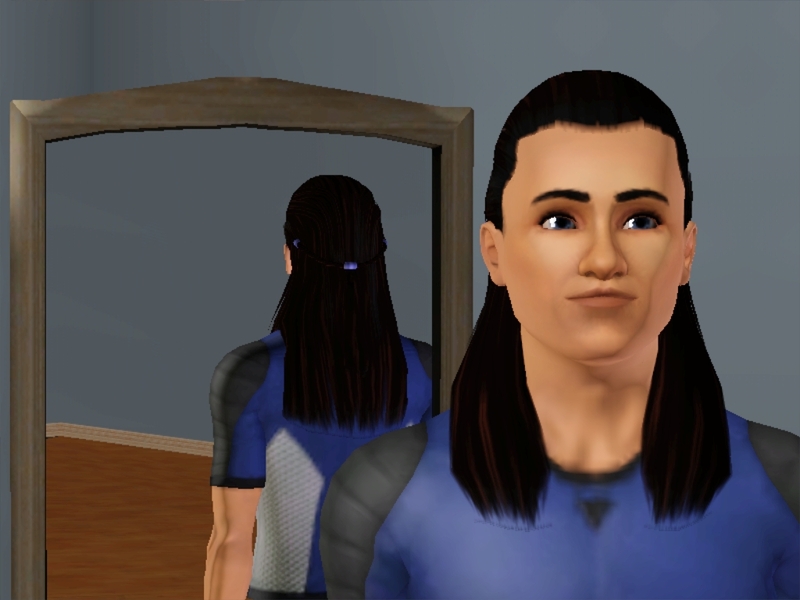 Like @bebasim, I feel like the Sims 4 is an upgraded version of the Sims 2. 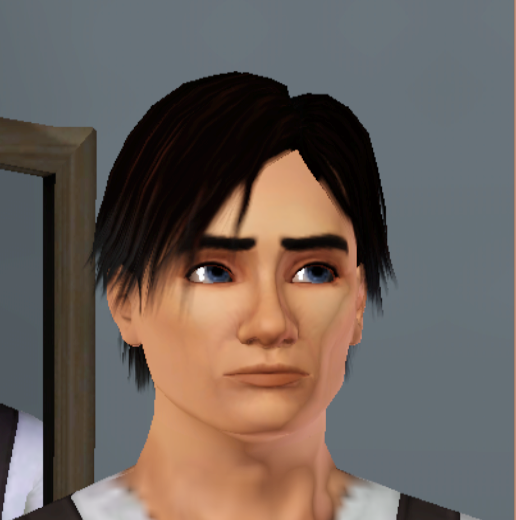 I played the Sims 2 but I couldn't get into it. I had the same problem when I did the trial version of the Sims 4. I couldn't get into it. Their animations (TS4) are more smooth, that’s absolutely true, but I actually like the more neutral sims in TS3, because - I think that’s the reason anyway - they leave more room for interpreting their feelings and thoughts. Not in a way that they are without emotion, actually their emotions are quite clear, but in a more subtle way. 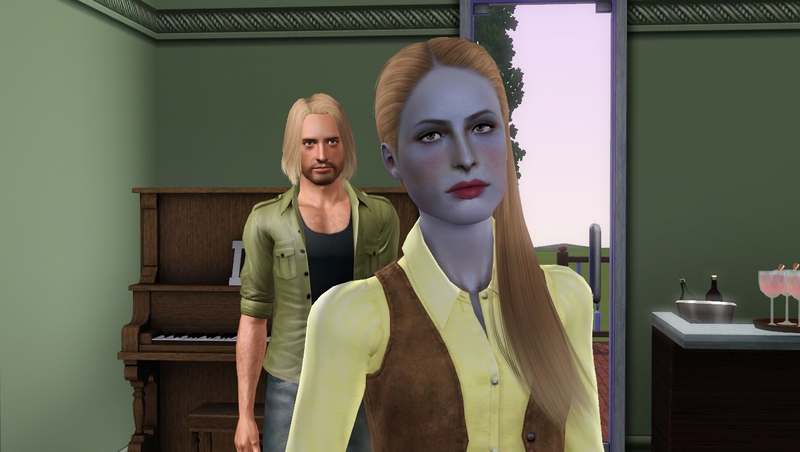 Sims in 1 and 2 are quirky, in 3 they’re more serious and in 4 they are cartoony. They all have life imo, it’s just a different approach and I think it’s personal preference how you value the sims in the different versions. I recognize that and for me it’s the open world. Jumping from one scene to the other for some reason breaks immersion and involvement for me. I love the cohesion of the world my sim lives in, I’m constantly aware of that. For me it’s essential where it comes to life simulation. 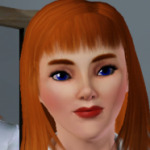 I agree with you all sims3 is the BOMB!!! If they do another sims upgrade they really need to incorporate the sims3 moving with the sims through the world, it's what i love in sims3 not the stagnant house life or break screening it to a location, this is a pet hate of mine with sims2.. however saying this... sims4 has it's perks too... they can sing, their dancing is not as intimate as sims3 and their woohoo is like what the heck was that.. but there are mods and stuff... to spice it up. 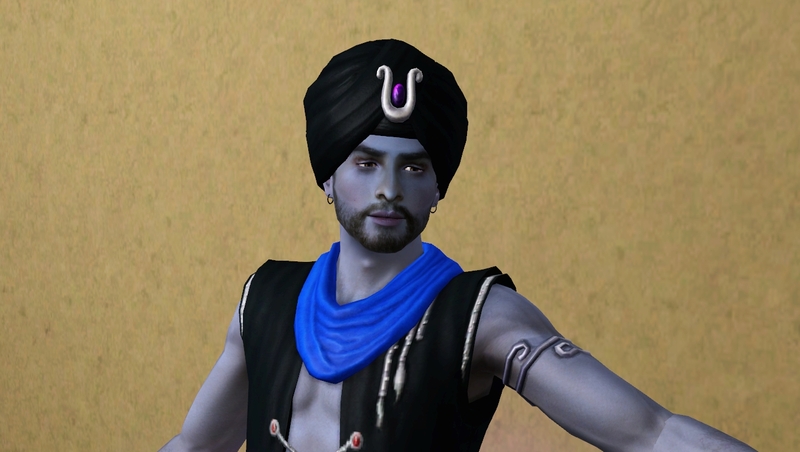 I do agree they do look more cartoon in looks in sims4, non the less it's sims.. and although the Nraas mods are GOLD i wouldn't play sims 3 without them, i am enjoying sims4. 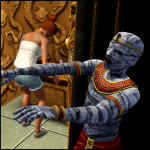 @Mikezumi - thank you I'll be back to sims3 in the new year i do miss my hybrids... and various supernaturals. 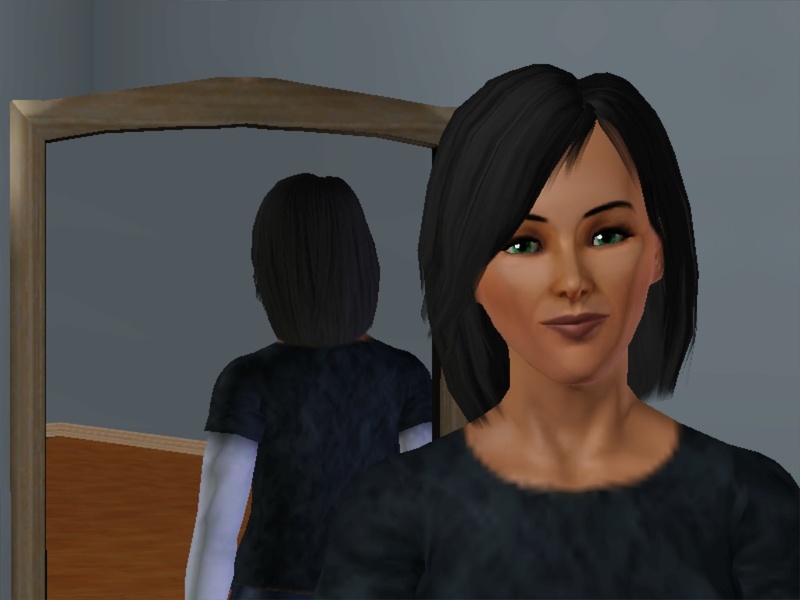 @JoAnne65 - i agree re the emotions... sims3 have that extra that sims4 is lacking sadly... i didn't want to touch sims4 for a long time... but since i have i am not regretting it, actually enjoying it, i probably am as i'm doing the ISBI challenge and not controlling them to failing is fun. I also did a short challenge where they get sent off to the jungle and they all died but one.. so it's funny to watch if you don't care about them... sadly this ISBI challenge i've gotten to love my characters now, cried when Don Lothario died. I still haven't had the heart to go into game as my sim lost both his parents within a minute of each other. Would be funny to start a legacy with a physical trademark like that and continue that trademark over all the following generations. Yes, I'll try to make it at least to gen. 3. 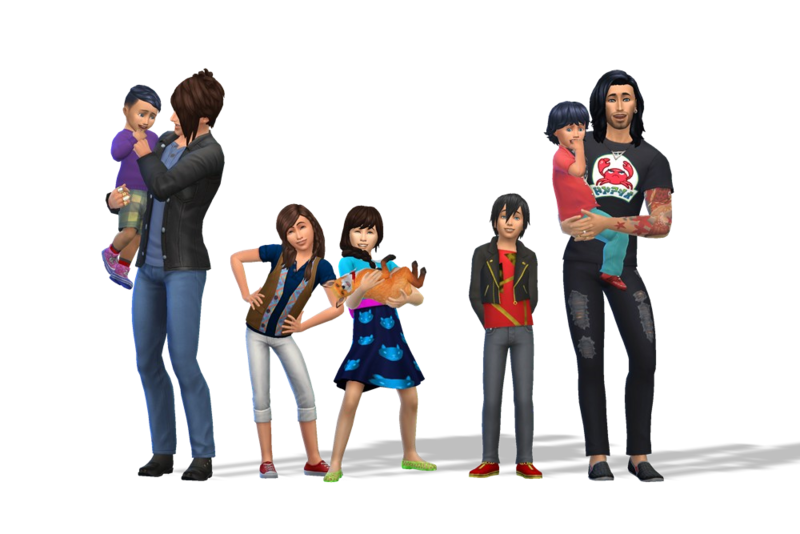 Maybe even try the short life span, to breed the Sims faster (or I'll never make it past gen. 2)! I like the Grisby’s, they’re cute Plus you get to play in Riverview, which is a big pro as well. Good luck! Jason (a genie) and Josh have two kids, a girl and a boy. The girl, Josie, aged up to teen today. She is mostly Josh but has Jason's eyes. Is this too old to revive? I'll risk the necromancy. Honestly, I'd like to see this thread kept current. This was unplanned, but welcome. 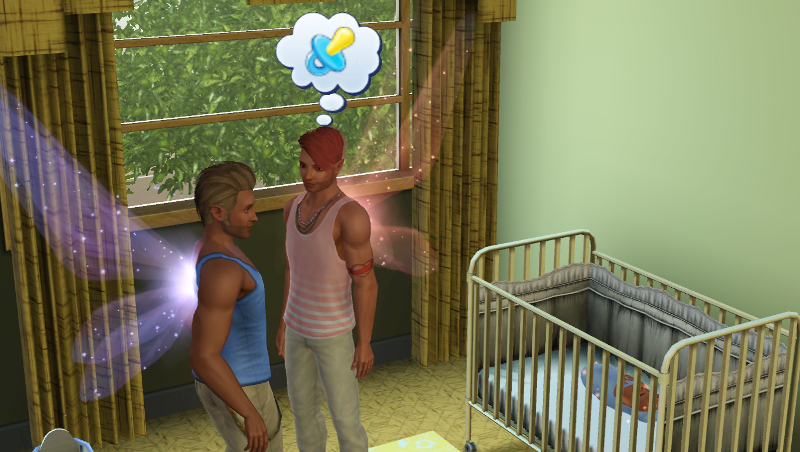 Two of my Sims, long-time boyfriends (and teen fairy cabana boys to my Werewolf kingpin, Logan), finally whoopsed to the point that they had a baby. I married them off, realized Logan's house was no place for kids, aged them up and moved them out. This is their (older) offspring, Zowie. 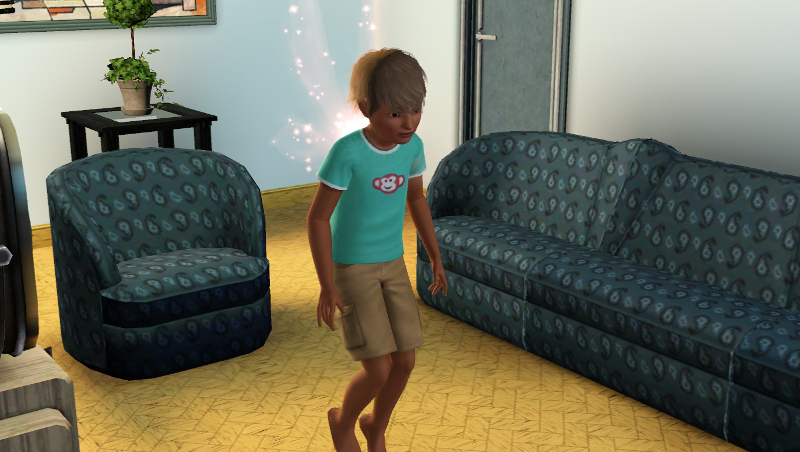 I plan to pair him off with my werewolf kid, Max, when they're teens. 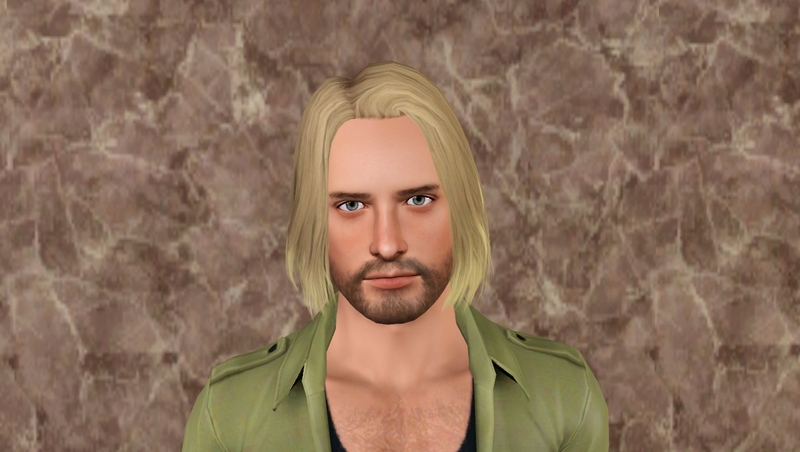 While I was shuffling them around, I sneaked a peek at his adult features via Edit in CAS (ignore the random clothes). @Sindocat I post in this thread every time I have new kids to show so it's not necro'd. Zowie looks great! What features did he get from each father? I'm at the beginning of generation four. I'm just trying to play the game and get more than three generations before I quit playing. This is the father. These are the only two children they've had. The parents are both about to be elders so I don't see them having more children but you never know. The son just aged to young adult. The daughter just aged to a teenager. That is Tavie (pink dad's) jaw-line, wing color, skin-tone and eye-color. But Tino (blue dad's) hair color, and possibly his nose. 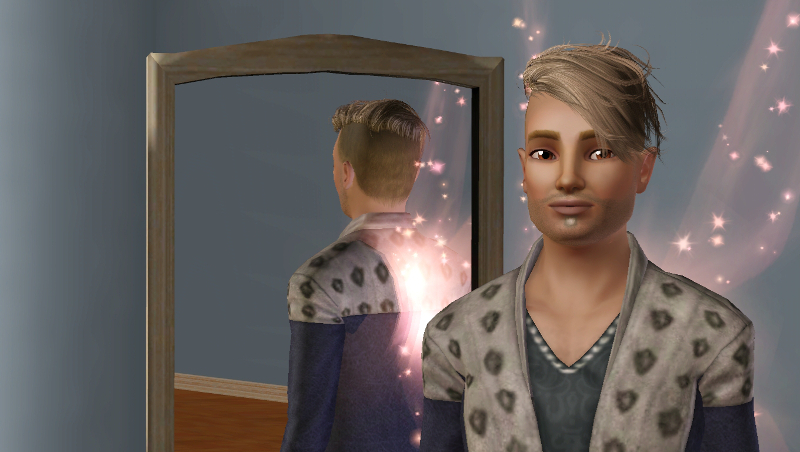 When he and Max are teens, it'll be the first chance I have had to pair blondes.